Coir fibers are lignocellulosic fibers extracted from the outer husk of a coconut, known for their versatility and low cost. 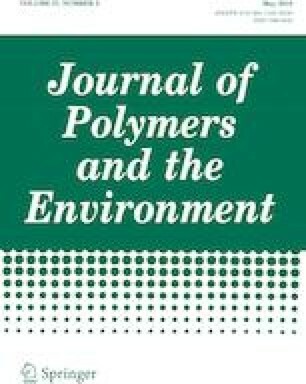 This study assessed the feasibility of producing coir reinforced poly(lactic acid) (PLA) composites and the use of maleic anhydride grafted PLA (PLA-g-MA) as compatibilizer. Composites were produced in a twin-screw extruder and the mechanical properties were evaluated by tensile, flexural and heat deflection temperature tests. The morphological properties were assessed by scanning electron microscopy (SEM). The effect of compatibilizer and fiber content on molar mass of the composites was assessed by means of size-exclusion chromatography. SEM images showed that addition of the compatibilizer improved interfacial adhesion. However, this finding was not reflected in the mechanical properties because the high acidity content of the compatibilizer, revealed by titration of acid groups, along with the residual moisture of the fibers, significantly decreased molar mass of the polymer, impairing the composite matrix properties. This study was financed in part by the Coordenação de Aperfeiçoamento de Pessoal de Nível Superior—Brasil (CAPES)—Finance Code 001. The authors would like to thank Inbrasfama for the donation of coir fiber and the financial support by PPG-CEM.